GyanParab E-Magazine SEPTEMBER 2017 issue Declared By ShikshanJagat. Hello Friends ! Shikshanjagat Site Is for Gujarati Competitve Exams Like GPSC,HTAT, Police,TET,CLerk,Bank etc...Preparation. On this site you will find lots of material for Exam Prepartion in Gujarati, Hindi And also in English. Keep Visiting This Site Daily to Improve your Knowledge. 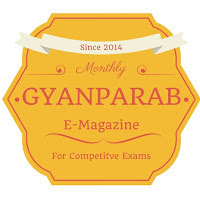 0 Response to "GYAN PARAB E-MAGAZINE SEPTEMBER 2017 "